Ronald M. Garl 2008 18 72 7541 30 minutes from downtown. 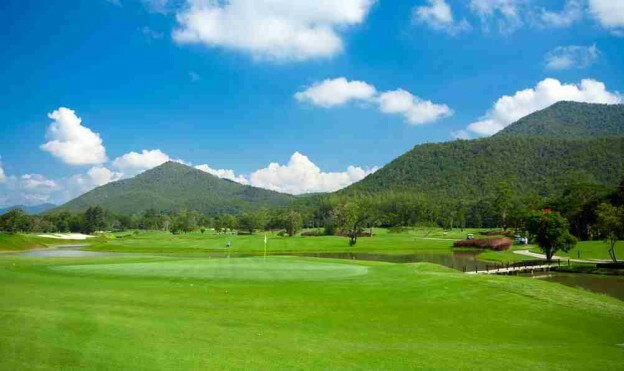 Alpine Golf Resort is undoubtedly one of the most scenic golf courses in Chiang Mai and no matter where you are on the course you will enjoy Mother Nature at her best. The course is designed by the world famous Ron M. Garl, who has created a course with standards to challenge the most serious player although anyone who enjoys golfing in the fresh country air, close to nature, will find it equally pleasant. After your round of golf you will have the opportunity to enjoy good food at the resort’s international restaurant and the pleasure of a spa indulgence, all in the spectacular ambience of the hills of Chiang Mai.